Swooping in today to follow up on a little project I shared on my Insta Stories earlier today and thought it might be worth sharing a bit more here!! During Christmas, I created a 25 day countdown we hung in our foyer that counted down the days until Christmas and also had bits of the Christmas Story when you flipped it over. So by the 25th, we had the complete Christmas story hanging in a pretty way! It was so fun to see my four year old get excited each day and start memorizing various verses. She could nearly recite the whole thing by the end of it. So I decided last week to do an Easter version with chunks of the Easter story split up into 7 days for her to count down until the holiday. 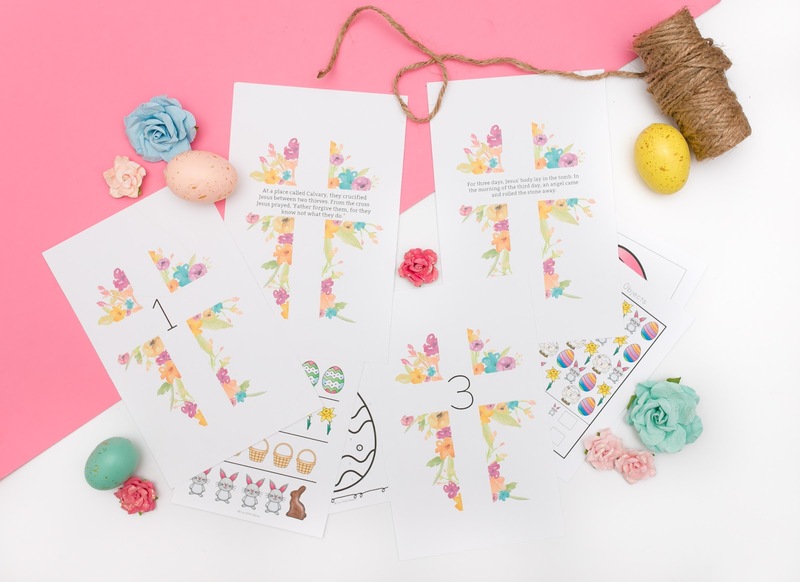 I added a fun twist to it this time and added quick, printable activities behind each number so we'd have mini projects to do each day as well. The girl loves her projects. Follows her momma's heart all the way! When I say super easy, I mean SUPPPPER easy. The longest part will be printing and cutting. And that's not long at all. 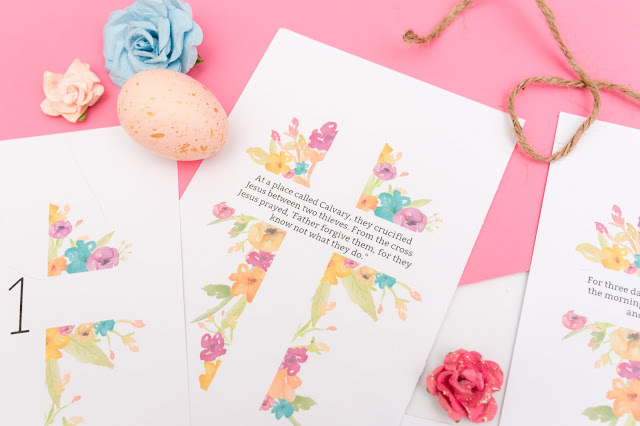 First things first, print all the cards and activities you're wanting to use. 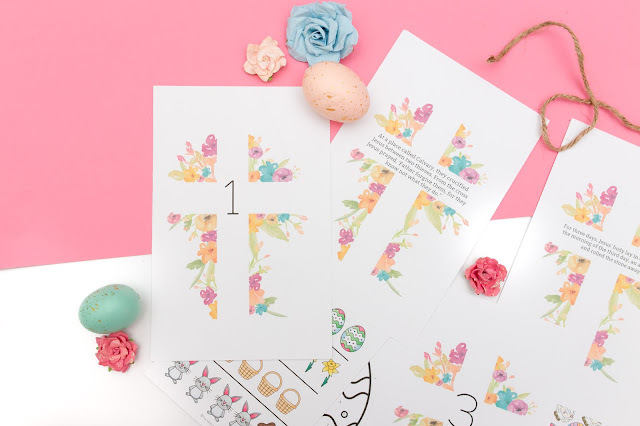 You can snag my version of the Easter countdown at the bottom of this post. Instead of printing them full size, I chose the pages I wanted and printed two to a page so they'd fit behind my countdown cards. Plus, everything is cuter in miniature, right?!? 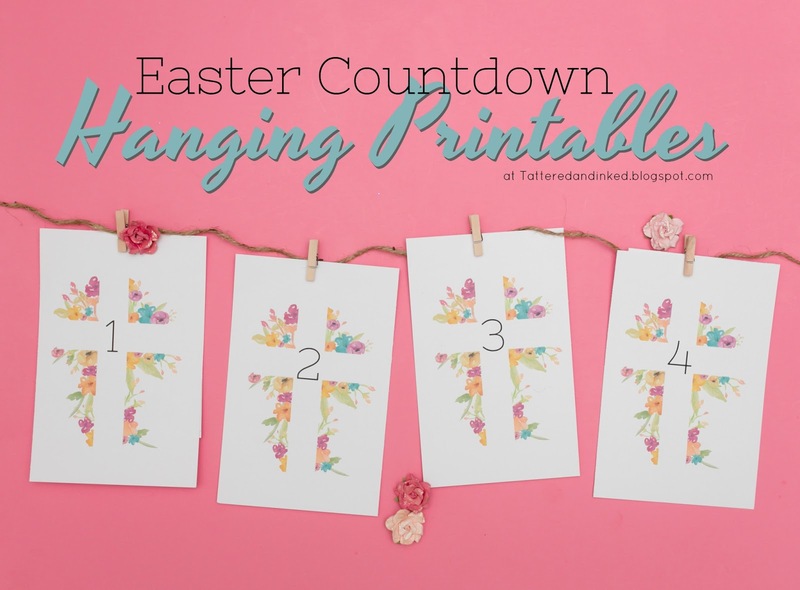 For the countdown cards, simply download the prints, and then print them on cardstock. I cut my activity cards slightly smaller than my countdown cards. Each of them have a small chunk of the Easter story on the back... I worded it mainly for my four year old to easily be able to understand. 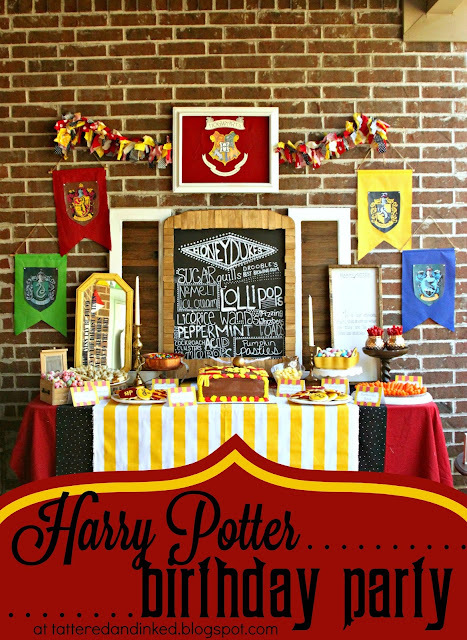 Lay out the activities you want to go with each page. A couple of them were small puzzles I cut up and slipped into small craft bags. Those easily clothespinned with everything else too. Once you have them hung up, you're ready to go!! Ours hang across a piece of art in our foyer but they'd look so pretty across a mantle too! We will start turning them over on Monday so the last one is turned over on Easter morning. 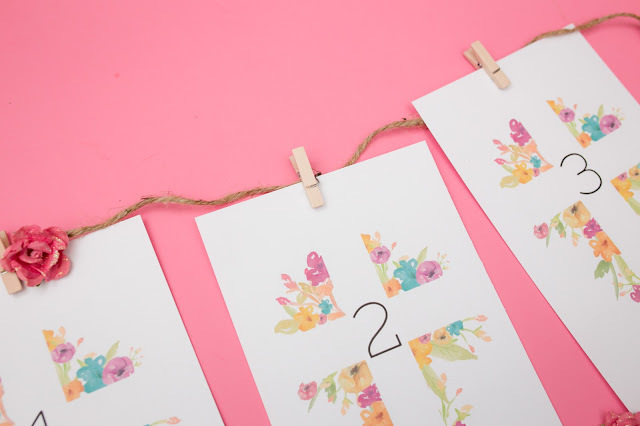 If you'd like to grab your own Countdown cards, you can find my free printables down below!! Click the link and the entire album should appear. 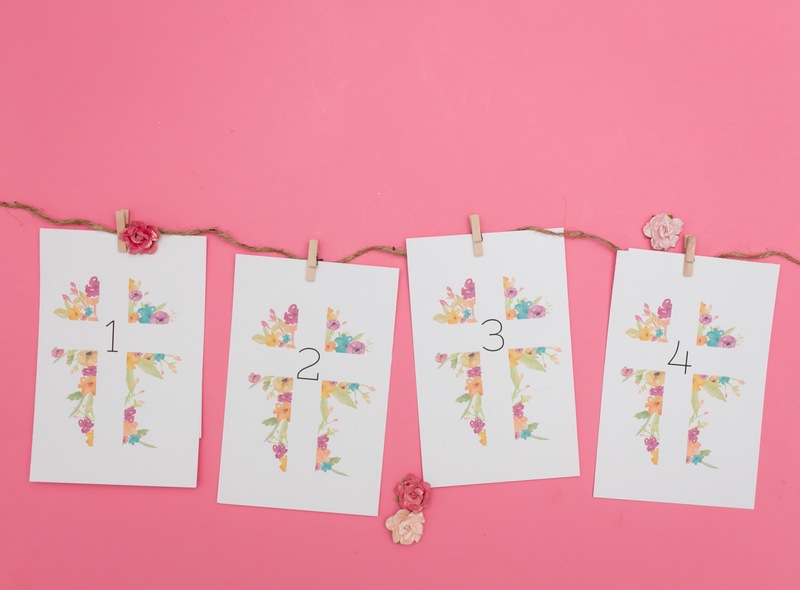 Print each numbered card, then run them through and print the verses on the back! Hope these are as fun for you as they are here!!! 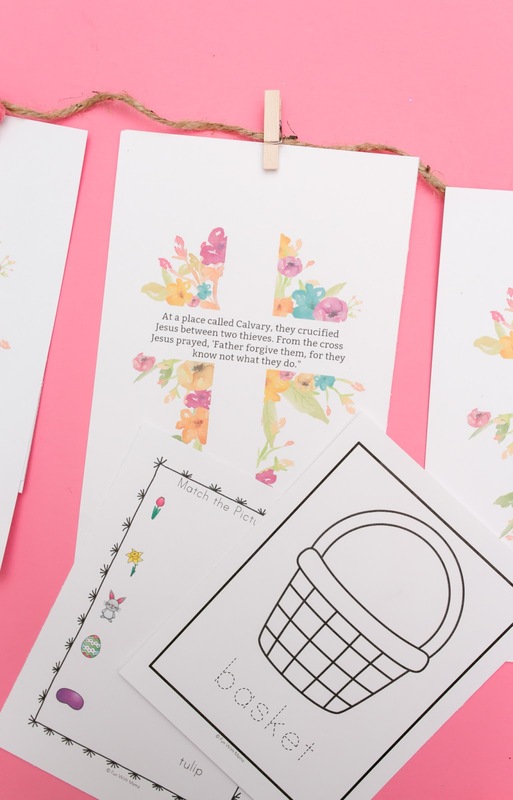 Printables are intended as gifts for Tattered and Inked readers only. For a complete list of all my free printables, head to this page.